We believe that regular floating can change lives. We see it all the time in our regular floaters. As a way to make the practice of floating affordable and to help people follow through with their commitment to care for themselves, we offer a Flōte Club Membership. Reduced price for subsequent floats and saunas within the month. Billed monthly. Unused floats and saunas never expire and can be gifted. No hassle cancelation, after a three month commitment. 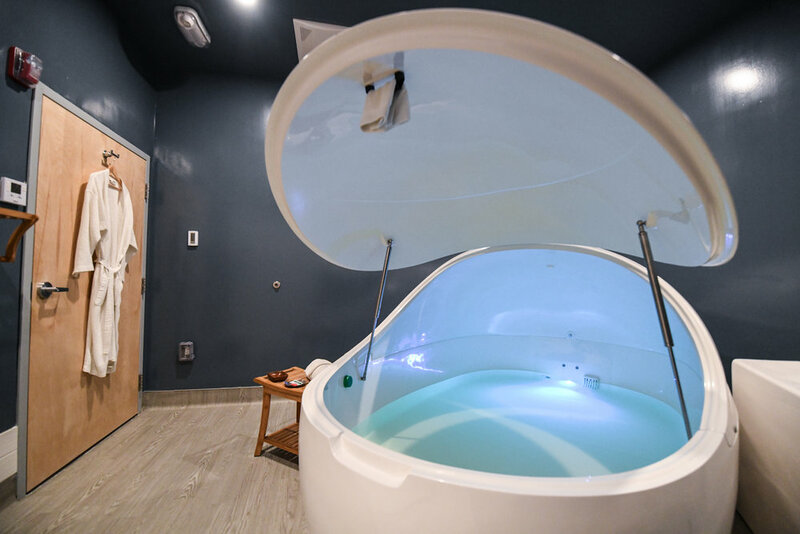 Floating is a practice that has a learning curve and an accumulation effect—the more often you do it, the better and more effective it gets, especially in the beginning! It’s common for people’s third float to be what converts them into lifelong floaters. So we offer a buy two, get one free starter packages to first time floaters. (3) 60-minute floats—use yourself or share with friends! (3) 90-minute floats—use yourself or share with friends! Commit to your well being and enjoy a monthly massage and a 30 minute sauna session at a discounted price. Any additional massages during the month are at the same price. Three month minimum commitment. This fun, unique massage includes time with your therapist to craft the perfect essential oil blend to aid with your relaxation goals, symptom relief, or just for fun. Your stress-relieving massage can be customized to focus on a few areas, or full body. If you prefer, your therapist can incorporate a few warm Himalayan salt stones into the service to further enhance your experience. You will take your custom blended oil home as a remembrance of your nurturing spa visit. Combines unique techniques that incorporate hot basalt river stones, warm oil and massage to unravel tension in the body for a highly relaxing experience. Upgrade any massage by adding the healing properties of CBD oil.